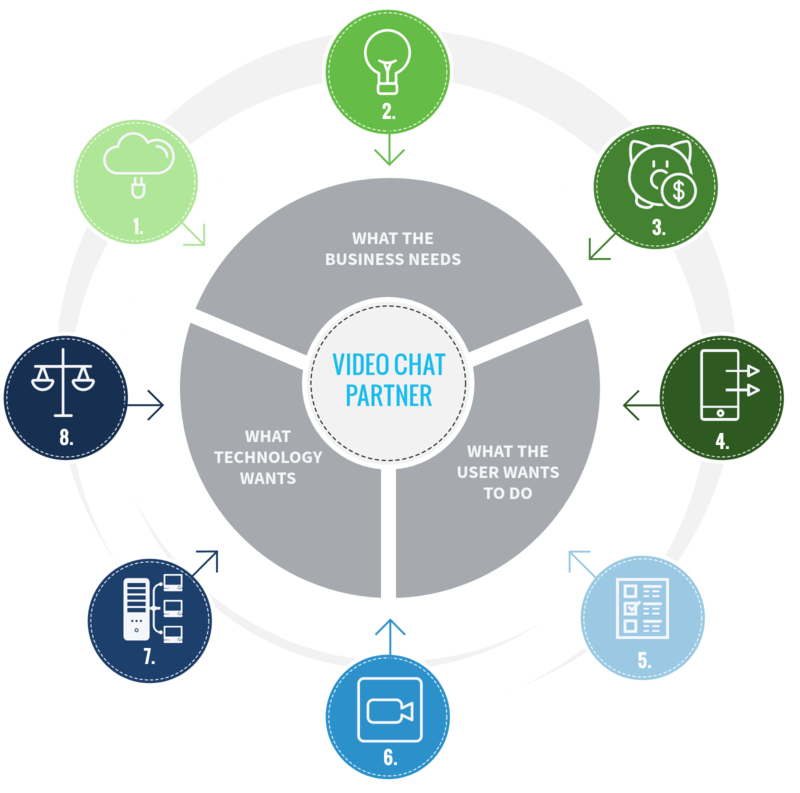 Eight key components that you should consider when evaluating the makeup of a great video chat provider or partner. These areas will help select the right video chat provider from all groups within your organization. Every department has their own interests, but why not pick a provider that aligns with all business units? Means no hardware or software to install to get video call routing, reporting, and surveys to compliment your existing operations. Help bring your use cases to life and brand them for your company. We’ve been in your shoes and we work behind the scenes while you take the credit. Allows for no/limited IT help with no hardware or software to support. Browser + webcam = ready! Builds trust through face to face communication with your existing service & sales channels. Get instant feedback from the customers. Customize, learn, respond and improve. Lets you implement the video chat technology with minimum constraints from IT resources. You want a solution that doesn’t require hard to maintain hardware and software for your IT group to support. No additional costs or staff to add to manage the technology. Engage your customers in the user experience in which they want to connect with you. Whether that is on your website or in your mobile app. Don’t have a mobile app, build one and use video chat as your “token” download. Your ideal video chat solution should allow easy scale across the organization without expensive licensing costs and constraints that prohibit growth.